Hyperlinks, Subscribing and Comments -- How to Interact with Upfront with NGS Blog posts! 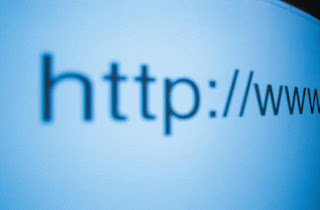 Lately I have received several queries along the lines of “Where are the URLs/Hyperlinks?”, “How do I subscribe?” and “How do I post a comment?” [added 02 Feb 2013] "I thought you had 2 posts today and I'm only seeing one in my afternoon e-mail?" Let’s talk about the answers to those as I’m sure other readers have had the same questions and were too shy to ask! Every Upfront with NGS blog post has at least one Hyperlink (where you click on select text and you are taken directly to the URL for the referenced item). When you are looking at Upfront with NGS on the website, the hyperlinks are in a dark green color (unless you have already visited that website and then they are in a burnt red color). The easiest way to distinguish a URL (dark green against a dark grey font for the rest of the text can sometimes challenge us!) is to run your cursor/mouse over the text and then it will show up in a burnt red color with an underline. Just click on that text and off you go. When you are looking at Upfront with NGS via real-time e-mail (the one that goes out as soon as the post is published), the hyperlinks are in blue and underlined and quite easy to see. If you receive an e-mail later in the day (mid afternoon) with any blog posts for the day, the hyperlinks show up as bold grey! A bit complicated isn’t it? And, once you get the hang of it, you will “see” all the hyperlinks and can happily click away to check out some really neat resources. Upfront with NGS can be read by and/or subscribed to by anyone. You do not have to be an NGS member to take advantage of the news posted in this blog. You always have the option to read the posts directly on the Upfront with NGS website (btw, you should see the preceding four words as a hyperlink, per the discussion above). If you, your friends, colleagues, or fellow genealogy researchers would like to receive Upfront with NGS blog posts as an e-mail, please subscribe. To do so, go to this page, http://upfront.ngsgenealogy.org/, find the box shown to the left in the left-hand column of the page and enter your e-mail address. It’s as easy as that to get a daily (Monday-Friday) e-mail with helpful information for genealogy and family researchers. And, always feel free to use some other service to do the same. For example, I use the Feed/Blog Alert feature of my e-mail provider (Yahoo! Alerts) to get blog posts where there is no e-mail subscription option. I find getting blog posts via e-mail convenient to save and organize. Unfortunately, blogger (the platform that Upfront with NGS is based on) makes this a little tricky. Once you are on the dedicated post page, scroll to below the post and you will see the box below. 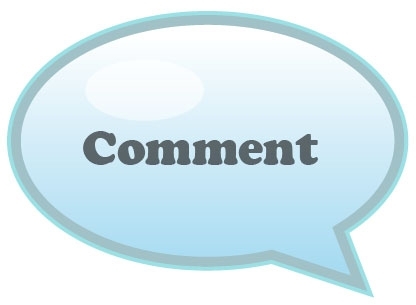 Now you can enter your comments. Notice that “Comment as” gives you several options. For example, I can post under my Google account, with my name/URL, anonymously, etc. Select which “option” works best for you. Do know that Upfront with NGS is a moderated blog? This means that once you post a comment, the blog editor is notified and only once the post is approved (basically it is determined that it is a “legitimate” comment and not spam) will your comment be visible. It’s as easy as that! If you are reading the blog via a real-time or daily compilation e-mail, you will need to scroll to the very bottom of the page where you will see Upfront with NGS as a hyperlink (blue and underlined for both e-mail formats), click on that link and then follow the instructions provided above for the mechanics of posting a comment. [added 02 Feb 2013] MORE THAN 1 BLOG POST -- How do I see both? If you are one of our readers who receives an afternoon e-mail with the post(s) for the day (versus real-time posts or reading the blog directly), you may not always realize that there might be more than one post included! These "cumulative" e-mails are sent in the afternoon and the default is that the "most recent post" is the one at the top of the e-mail. On most days, when there is only one post, that is the post you are seeing. Now, if we happened to post more than one piece in a day, you will need to scroll down in the e-mail to see what was posted earlier in the day! If not, send an e-mail to [email protected] with how you are stuck! There are many many items that were used by our ancestors that we no longer make use of. In fact, there are things we have used that our children and grandchildren have NOT used. For example, every year Beloit College produces The Mindset List which really makes us aware of how much the world has changed in the last 18 years! Now let’s get back to our ancestors! Imagine all that has changed in the course of your life and now let’s extrapolate that back to our ancestors! I cannot even imagine some of what they used. Think of when you visit a museum or a historic house and you are asked “what do you think they used this for?” How often have you been stumped? This was brought to mind when I was introduced to a website called The Museum of Ridiculously Interesting Things, and specifically, a display of abandoned suitcases of insane asylum patients. Not only do these suitcases poignantly tell a story about someone who became incarcerated in an insane asylum, they also give us a glimpse of the time period and world in which they lived. Additionally, often as genealogists we talk about hereditary traits, genetics and similar topics. Fascinating faces: Ulric Collette’s ‘Portraits génétiques’ shows combinations of parents and children, siblings and more. They really are fascinating to look at. We so often are trying to match up features between individuals of different ages as we look at photos through time or try to correlate names and faces on un-labeled photos. What if we tried to “match” up faces such as this artist has? I found this a provocative website and it was hard to not want to check out more and more of the collections. Some made me laugh, some made me seriously ponder the lives of our ancestors and the role of genetics, and some intrigued me like hidden mothers in victorian portraits. Did any particular collection really catch your eye? 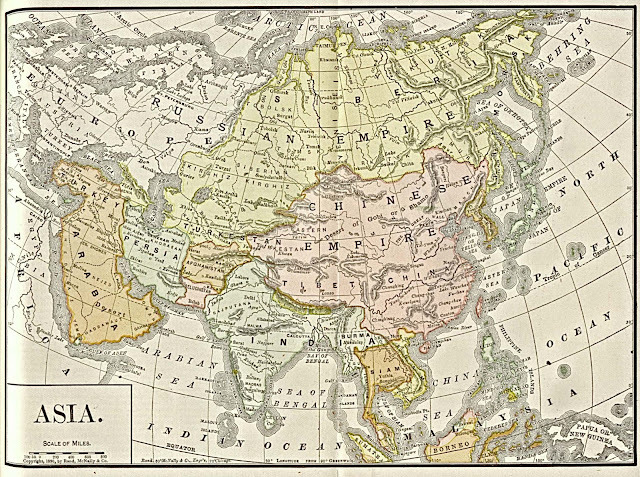 Were you able to associate it with your ancestors and/or your research into them? Many State Archives Have FREE Newsletters -- Do you read the one produced in your state? Have you checked whether your state archives, library or similar state level repository produces a news publication? If you haven’t, you might be missing out on a great way to keep current on “what’s happening” in your state. Additionally, these publications often include some historical context that has relevance to your research into your ancestors, such as articles on historical topics, mentions of new books or archival collections that might assist your research, etc. Traditionally, many of these newsletters were originally a printed publication and are now an electronic publication. Or, with the modern ease of producing newsletters with lots of information, color graphics, active hyperlinks and so many other capabilities now available, some archives are introducing electronic newsletters which they can easily make available to so many. State Archives and Records Management Programs. As with all publications, some come and go and so do consider that though your state archive may not currently be published, there may be archived copies such as the Maryland State Archives' Newsletter, The Archivists' Bulldog. I regularly read the North Carolina Comments to let me know “what’s happening” and to use as a source of information to share with local genealogical researchers via the local society newsletter. Does your state archive produce a free newsletter? Of so, let us know! What do you like about it? What neat finds have you found in the publication? 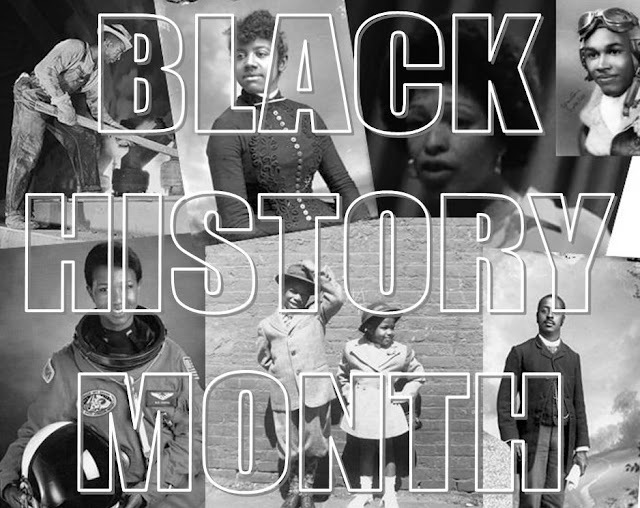 February is a month-long celebration of Black History. 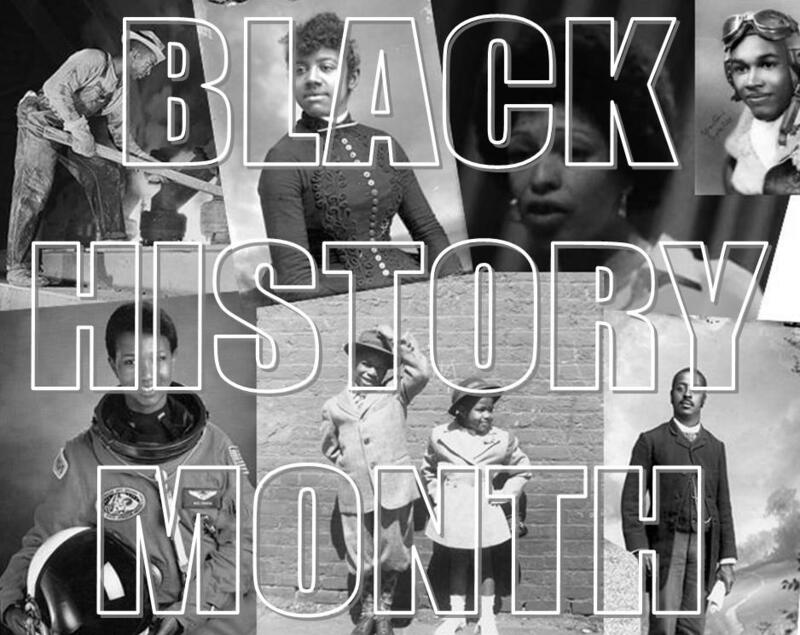 As NGS becomes aware of free access to record groups of interest to those researching African-American history, neat resources to aid in such research or anything that crosses our desk and seems to have relevance, we’ll post that information here. Do you know of a free (whether temporarily so or not) or an interesting resource that those researching African-American ancestors should know about? Have you had a recent success in breaking down an African-American ancestor’s brick wall? U.S. Citizenship and Immigration Services (USCIS) has created a new and improved Genealogy website including a page called the “Genealogy Notebook” -- a gateway to the history of the service, research guidance, records requests and much more. Avoid Common Errors – helps requestors avoid mistakes that could cost them extra time and money. Research Guide -- provides information pertaining to Arrival and Nationality records organized by date, and provides valuable information about Historical USCIS topics and events. Not familiar with immigration documents? Besides reading the aforementioned Research Guide, check out the new “Image Galleries” so that you can see what the most common file types might include. If you are researching an immigrant ancestor and are seeking their A-Files (Alien registration), C-Files, Registry Files and/or Visa Files, this is a great place to get started. Even if you don’t know which of these files are relevant to your immigrant ancestor, the website will tell you all about what these files are, what research value they have and how to request. Did you find the website helpful or interesting? If so, please share what you found most helpful. If you have done a lot of immigrant/emigrant research, what advice would you share with someone just starting out who is seeking documents from USCIS? Editor's Note: USCIS was formed in 2003 when the old Immigration and Naturalization Service (INS) was dismantled. Just in case those who have been doing immigration research for a while wondered. Genealogy and Family Health History Go Hand-in-Hand! There is a new family health history tool, My Family Health Portrait, from the surgeon general in English, Spanish, Portuguese and Italian. Genealogists and family historians are in an enviable position when filling out this new tool. We have probably collected death certificates and/or obituaries for several generations, including collateral lines! For us, it just becomes a matter of entering the data. 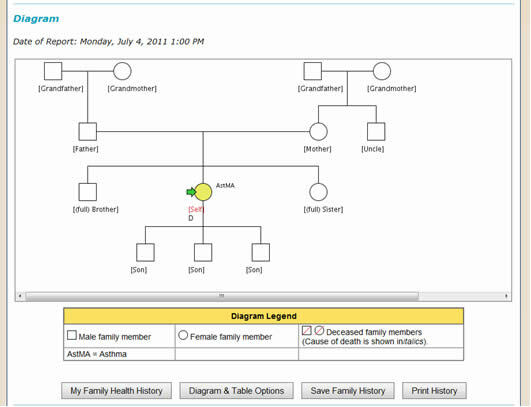 A nice feature of this tool is that you can “share” your history with a family member so that they can use the “common” information as a starting point for their own family health history. This can be really helpful for siblings, children, cousins, nieces/nephews, where there is overlap in the family tree. Looking around, I found a site, PHR Reviews which mentions many other health history and/or health records software/apps/services which might have more relevance to your particular situation. Though, if you are looking for an easy-to-use tool to capture the highlights for your family’s health history, assuming it’s not too complicated, the new tool by the surgeon general might be a great place to start! Have you documented your family’s health history? Besides the value to you and your living extended family, has doing this helped you research your ancestors? Editor’s Note: National Family Health History Day is Thanksgiving of each year. As one gathers with family, this holiday is always a good time to have this information available and current! Though, don’t wait until Thanksgiving to gather this information! 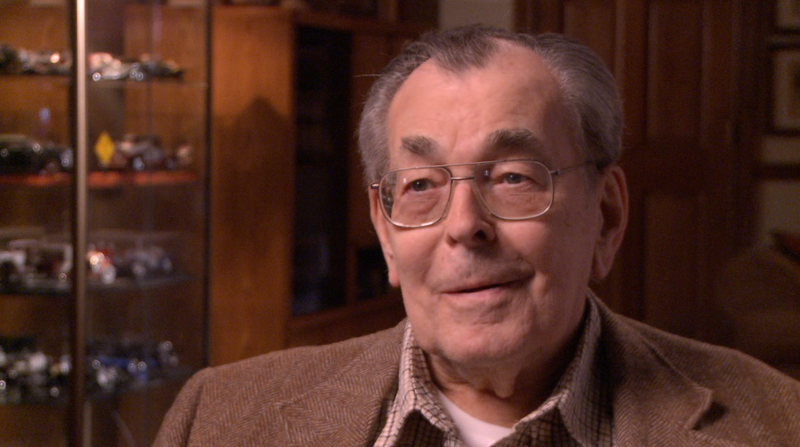 National Genealogical Society Mourns the Passing of George Ely Russell, Jr.
A message from Jordan Jones, President of the National Genealogical Society.. The National Genealogical Society mourns the passing of George Ely Russell, Jr., a prominent genealogist and the editor (1971-1986) of the National Genealogical Society Quarterly (NGSQ). An obituary from the Frederick News-Post has been posted at legacy.com. In recognition of Mr. Russell's long and continuing engagement with NGSQ, the editors will include a memorial article in the next issue of the Quarterly. Win a free upgrade to a one-bedroom suite plus limousine service to and from McCarran Airport in Las Vegas! If you haven't already booked your hotel room for the NGS Family History Conference in Las Vegas 8-11 May 2013, the LVH-Las Vegas Hotel & Casino, our conference hotel, is offering a special incentive for you to do so by 31 January. Every person who reserves a room at the LVH in the NGS block before 6:00 p.m. PST, 31 January 2013, will automatically be entered into the drawing. The winner will be notified 4 February. Every person who has already reserved a room in the NGS block will be entered into the drawing. Cross your fingers and see below for specific details. Good luck and see you in Las Vegas! LVH - LAS VEGAS HOTEL & CASINO LOOKS FORWARD TO HOSTING NATIONAL GENEALOGICAL SOCIETY 2013 FAMILY HISTORY CONFERENCE!!! As a special incentive for any reservation booked in your room block before January 31st, we will enter your name into a drawing for a chance to win an upgrade to a premium Napa or Park Avenue one bedroom suite plus a round trip limo transfer from McCarran International Airport. You must make your reservation before 6:00 PM on January 31st. The winner will be notified on February 4th, so don't wait! 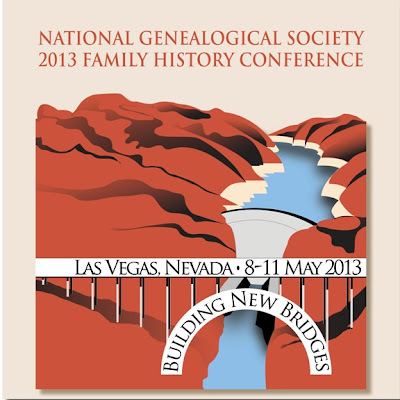 We look forward to seeing you at NATIONAL GENEALOGICAL SOCIETY 2013 FAMILY HISTORY CONFERENCE!! !